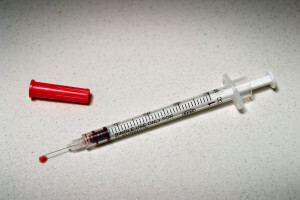 The Drug Enforcement Administration (DEA) has announced the seizure in the Bronx of enough heroin to get every one of the residents of New York City high. In case you don’t know, that’s almost eight and a half million people. In terms of local drug busts , it was the largest DEA heroin seizure in New York state history. It was also the agency’s fourth largest heroin seizure in the entire country. The heroin, which apparently came from Mexico, weighed in at 70 kilos (more than 150 pounds), which translates into a street value of over $50 million. Law enforcement sources say that the bust came after an investigation – including wiretaps and surveillance – that lasted a year. The heroin shipments came from the Mexican city of Cullacán, which is reportedly under the control of a drug cartel. 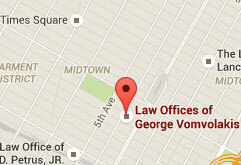 The bust took place at an apartment in the Bronx. For many people, this probably leads to a picture of a crime-ridden area. In fact, the apartment was located on the fifth floor of a building in the Fieldston section of Riverdale, near the prestigious Horace Mann School. Police say the shipment was destined for ultimate delivery not only to New York, but also to Connecticut, Rhode Island, Pennsylvania and Massachusetts. The size of the shipment appears to confirm recent statements by NYPD Commissioner Bill Bratton, to the effect that heroin is making a major comeback in New York City. Among other things, Bratton reported that last year in New York – for the second straight year –deaths resulting from heroin overdoses outnumbered murders. In addition to the DEA’s New York field division, other agencies involved in the war on drugs in New York include the narcotics division of the NYPD, and the office of the special narcotics prosecutor. Together, the three were responsible for the seizure in 2014 of more than a ton of heroin. During the first quarter of 2015, more than 300 pounds of the drug was seized in the city.